Travellers on the Grand Tour came to Italy to see antiquities as well as paintings, flora, and fortifications. They also encountered the most modern Italian music � for concertos, sonatas, operas, oratorios, and cantatas were all invited in the course of the seventeenth century. 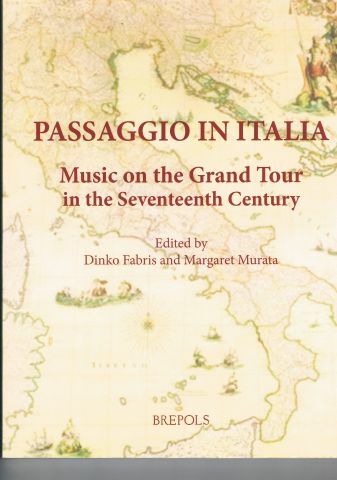 Passaggio in Italia traces the musical experiences of visitors to Italy, from a Frenchman present at the birth of monody in Florence, a Spaniard attending the public opera theatre in Venice, a Dutchman attending a Roman oratorio, to a Russian describing an organ in Padua and open-air music on the Bay of Naples. The itinerary includes a look at Barbara Strozzi singing for the men of a Venetian academy, the Dutch composer Constantin Huygens absorbing the new Italian music, and listening to Corelli in terms of late Roman Baroque architecture. Music herself travels between Italy and Spain and north to the Netherlands via performers or by print. Also inspired by the five Baroque operas and a Stradella oratorio that were presented for the Early Music Festival Utrecht in 2006, the book gives views onto the lives of the composers Francesco Lucio and Cavalli in Venice, travelling players in Venetian opera, Marazzoli�s La Vita humana, and the changing nature of the oratorio in Rome. Margaret Murata, professor of music at the University of California, Irvine, has served as president of the Society for Seventeenth-Century Music and writes on Baroque opera and cantatas in Rome, as well as about the romantic and early modern legacy of Italian �arie antiche�. Italian Soundscapes: Souvenirs from the Grand Tour, Dinko Fabris, Musical Encounters Public and Private, Margaret Murata, Singer-songwriters, the Lute, and the Stile Nuovo, John Griffiths, High, Middle, and Low: Singing Monteverdi, Richard Wistreich, �Italia decolor�? Constantijn Huygens and Italian Music, Rudolf Rasch, Caccini in the Netherlands, Natascha Veldhorst, Barbara Strozzi and the Taming of the Male Poetic Voice, Wendy B. Heller, Travelling Players and Venetian Opera: Further Parallels between Commedia dell�arte and Dramma per musica, John Walter Hill, �Fortuna instabile�: Francesco Lucio and Opera Production in Seventeenth-Century Venice, Beth L. Glixon, Cavalli as Performer: What the Manuscript Score Can Tell Us, Hendrik Schulze, A French Visitor to Florence, May 1589, Iain Fenlon, The Oratorio in Rome in the Seicento: Its Sites and Its Public, Arnaldo Morelli, La Vie humaine dans les livrets de Giulio Rospigliosi. El�ments pour une analyse typologique des personages, Jean-Fran�ois Lattarico, �L�armoniose idee della sua mente�: Corelli, the Arcadians, and the Primacy of Rome, Franco Piperno, Three Spaniards Meet Italian Opera in the Age of Spanish Imperialism, Louise K. Stein.